Jenkins gives consistent integration services to programming improvement. It is a server-based framework running in a servlet holder, for example, Apache Tomcat. It supports SCM devices including AccuRev, CVS, Subversion, Git, Mercurial, Perforce, Clearcase and RTC, and can execute Apache Ant and Apache Maven based tasks and self-assertive shell scripts and Windows clump summons. Jenkins is an opensource and most famous persistent joining device written in Java. There are numerous plugins are accessible to make it more simpler. It supports all form control frameworks. You can design builts with different means like, activated by a submit in a variant control framework, scheduling by cron-jobs etc.. This article will help you to install Jenkins. First, we have to check that Java has been installed on the server or not. Jenkins require Java 1.6 or more than. If Java version is less than 1.6 than we have to upgrade the Java. Use following command to check Java Version. 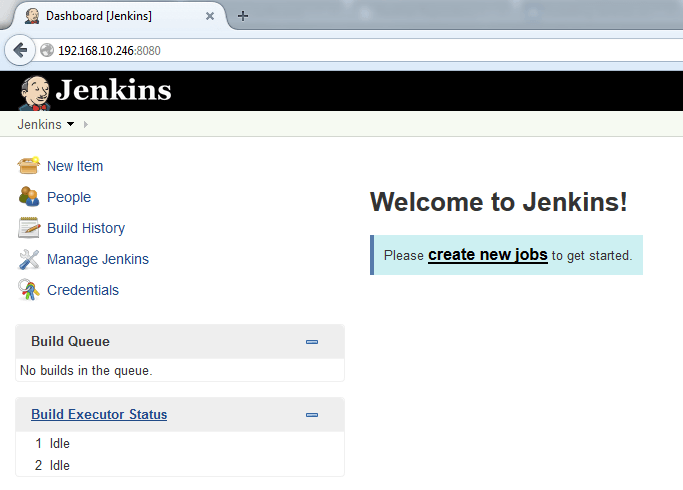 After checking the version of Java we need to add Jenkins repositories on the server. Use following command to install Jenkins. Start Jenkins Service uses following command. By default Jenkins use 8080 port. We use following command to check Jenkins is running or not. I hope this tutorial will help you to install Jenkins on CentOS. i used complete instruction which is given on this page and then i got unknown uri when i am typing in w3m localhost:8080 (w3m is web interface provider in terminal ) . service is running, port is open os is centos java version 1.8. Let me know If still you have an issue. thanks for the post. it is useful.